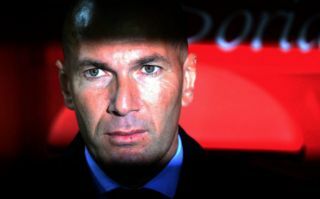 Manchester United are alleged to have met with Zinedine Zidane before the end of the transfer window that has sparked so much talk of trouble at Old Trafford. As sources told CaughtOffside on deadline day, there was friction between manager Jose Mourinho and executive vice-chairman Ed Woodward during the summer due to a difference in opinion on transfer targets. CaughtOffside were told Woodward vetoed a number of Mourinho’s preferred targets in defence, such as Jerome Boateng and Toby Alderweireld, and the club have since made a poor start to the season. This has now led to inevitable speculation about the manager’s position, with the Daily Mail claiming Zidane is keen on taking the United job and confident of getting it if Mourinho ends up leaving or being sacked. However, journalist and United fan Daniel Harris has now tweeted that he understands first contacts were made between the club and Zidane around a month ago when the team was on pre-season in LA – which was largely before things hit full crisis mode at the club. Not normally one for transfer gossip or similar, he doesn’t go into much more detail than the above, but the implication seems to be that United have been tracking Zidane for some time. The French tactician has been without a club since stepping down from his position at Real Madrid at the end of last season. A huge success at the Bernabeu, the 46-year-old won three Champions League titles in less than three full seasons in charge and would be an exciting appointment to replace the struggling Mourinho. It may well be that initial talks between United and Zidane has now led to the increased speculation linking him with the job now as the team struggles at the start of this season. It will be interesting to see if more details emerge and expect more Zidane United speculation in the coming weeks if Mourinho continues to struggle to get good results.